Passion in training, passion for extreme races, passion to push the limits. Passion goes along with deep respect for you, professional athletes that lead the way in performance and age group athletes who are out there every day juggling between their family & work commitments and their passion for sport. 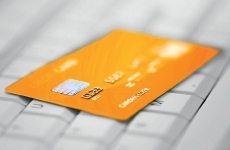 Passion for the quest of the perfect product… always looking for more improvement, more preciseness, more exclusivity. The Compressport Under control compression tri short black women uses seamless compression tubes to activate blood circulation. Fatigue caused by accumulation of lactic acid in your muscles is delayed. Compression provided by the new generation tubes limits muscle vibration by up to 25% while absorbing as much as 30% of shocks. Its foamed Pro Pad with tiny perforations evacuates sweat faster, thus enhancing comfort. 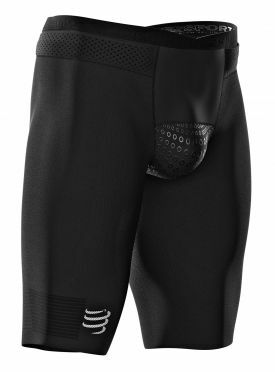 The Compressport Under control compression tri short black men uses seamless compression tubes to activate blood circulation. Fatigue caused by accumulation of lactic acid in your muscles is delayed. Compression provided by the new generation tubes limits muscle vibration by up to 25% while absorbing as much as 30% of shocks. Its foamed Pro Pad with tiny perforations evacuates sweat faster, thus enhancing comfort. Qualified as the best shaped and the most practical compressive gear by professional triathletes, the Compressport Tr3 aero trisuit compression black women is optimised for a perfect mix of aero-dynamism, comfort and compression. The 3D fibres in postural strip in the back provide maximum support to the whole backbone. Fatigue is alleviated while straight shoulders help open the rib cage for full capacity oxygenation. 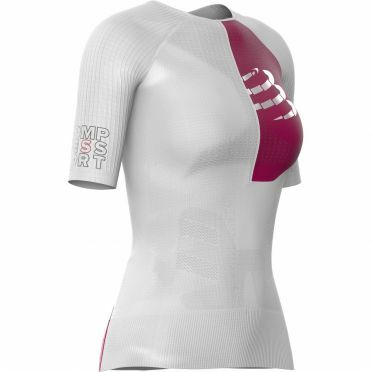 The fabric of the Compressport Postural sleeveless compression tri top white women is extremely light and soft. The shirt adapts perfectly to the body shape and offers maximum freedom of movement. The airy mesh material ensures that sweat and warmth are carried away from the body so that you feel fresh and comfortable even when the sun is shining. Finally, the pockets on the back ensure that all important accessories and gels are within easy reach. 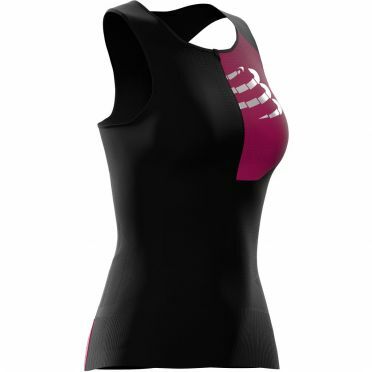 The fabric of the Compressport Postural sleeveless compression tri top black women is extremely light and soft. The shirt adapts perfectly to the body shape and offers maximum freedom of movement. The airy mesh material ensures that sweat and warmth are carried away from the body so that you feel fresh and comfortable even when the sun is shining. Finally, the pockets on the back ensure that all important accessories and gels are within easy reach. 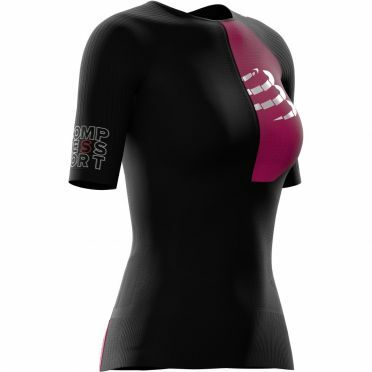 The fabric of the Compressport Postural Aero short sleeve compression tri top black women is extremely light and soft. The shirt adapts perfectly to the body shape and offers maximum freedom of movement. The very thin sleeves do not exert pressure on biceps and triceps and allow a large radius of movement. The airy mesh material ensures that sweat and warmth are carried away from the body so that you feel fresh and comfortable even when the sun is shining. Finally, the pockets on the back ensure that all important accessories and gels are within easy reach. 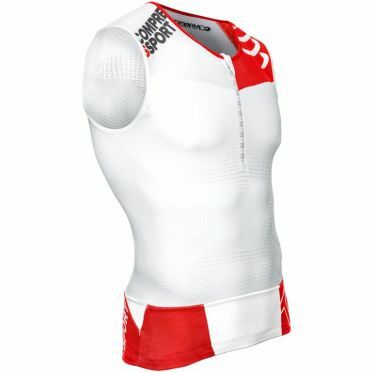 The fabric of the Compressport Postural sleeveless compression tri top white men is extremely light and soft. The shirt adapts perfectly to the body shape and offers maximum freedom of movement. The airy mesh material ensures that sweat and warmth are carried away from the body so that you feel fresh and comfortable even when the sun is shining. Finally, the pockets on the back ensure that all important accessories and gels are within easy reach. 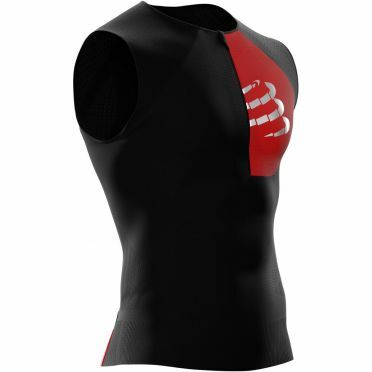 The fabric of the Compressport Postural sleeveless compression tri top black men is extremely light and soft. The shirt adapts perfectly to the body shape and offers maximum freedom of movement. The airy mesh material ensures that sweat and warmth are carried away from the body so that you feel fresh and comfortable even when the sun is shining. Finally, the pockets on the back ensure that all important accessories and gels are within easy reach. 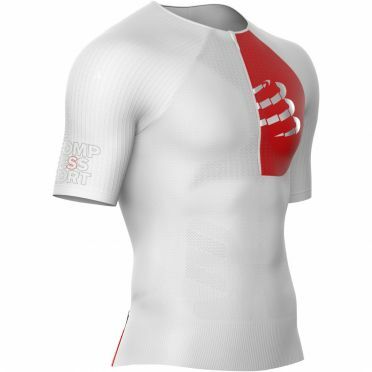 The fabric of the Compressport Postural Aero short sleeve compression tri top white men is extremely light and soft. The shirt adapts perfectly to the body shape and offers maximum freedom of movement. The very thin sleeves do not exert pressure on biceps and triceps and allow a large radius of movement. The airy mesh material ensures that sweat and warmth are carried away from the body so that you feel fresh and comfortable even when the sun is shining. Finally, the pockets on the back ensure that all important accessories and gels are within easy reach. 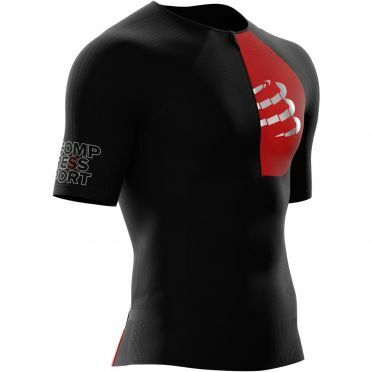 The fabric of the Compressport Postural Aero short sleeve compression tri top black men is extremely light and soft. The shirt adapts perfectly to the body shape and offers maximum freedom of movement. The very thin sleeves do not exert pressure on biceps and triceps and allow a large radius of movement. The airy mesh material ensures that sweat and warmth are carried away from the body so that you feel fresh and comfortable even when the sun is shining. Finally, the pockets on the back ensure that all important accessories and gels are within easy reach. 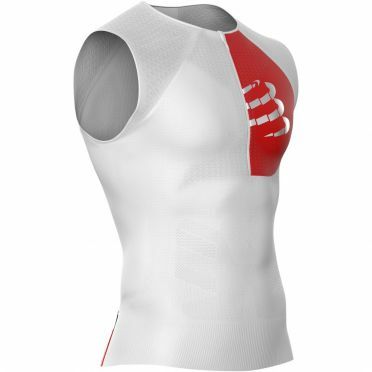 Innovation and exclusive technologies in the name of compression, bring to the most demanding triathletes this Compressport Tr3 tank top compression top white that ensures maximum comfort, maximum oxygenation and maximum protection. Body posture and alignment is guaranteed thanks to a light spin control compression zone at the back. 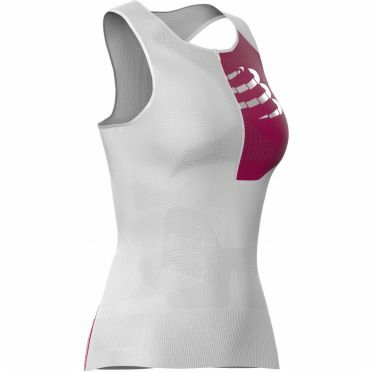 Obsessed at bringing more and more comfort in its sportswear so as to meet the expectations of most demanding athletes, Compressport conceives the Tr3 tank top. 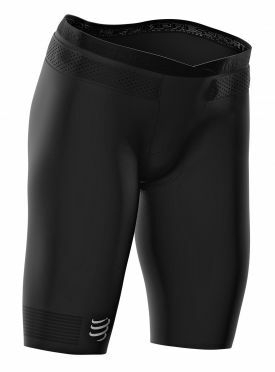 Qualified as the best shaped and the most practical compressive gear by professional triathletes, the Compressport Tr3 aero trisuit compression black men is optimised for a perfect mix of aero-dynamism, comfort and compression. The 3D fibres in postural strip in the back provide maximum support to the whole backbone. Fatigue is alleviated while straight shoulders help open the rib cage for full capacity oxygenation. The Compressport Pro Racing V3.0 winter cycling socks black are warm socks specially made for the winter. The sock are made of merino wool and stimulates the blood circulation, which keeps your feet warm. They have a high breathability and provide a perfect hold no matter how intense the effort or the terrain. Thanks to the ergonomic fit, the sock fits every foot. The soft, elastic and seamless material is very soft en comfortable. 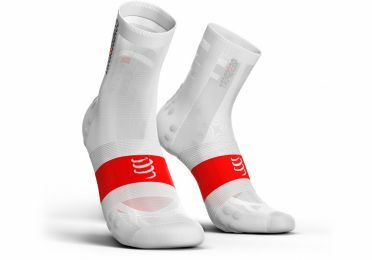 The new Compressport Pro racing v3.0 high cycling socks white - even more airy, even more comfort! Comfortable fit and great breathability. 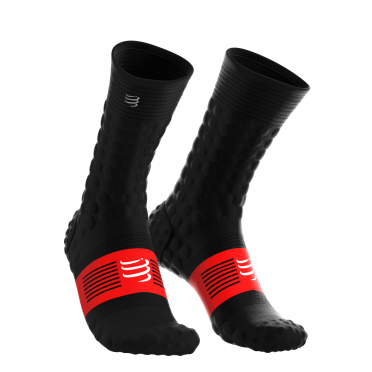 Years of research & development and cutting edge technology packed into a racing sock, they have quickly become the must have foot accessory for any serious endurance athlete. Worn every week-end around the globe by World champions, Pro athletes, age group athletes and week-end warriors, the Compressport ProRacing Socks V3.0 offer extreme comfort, improved blood circulation and biomechanical advantages. The new Compressport Pro racing v3.0 high cycling socks black - even more airy, even more comfort! Comfortable fit and great breathability. 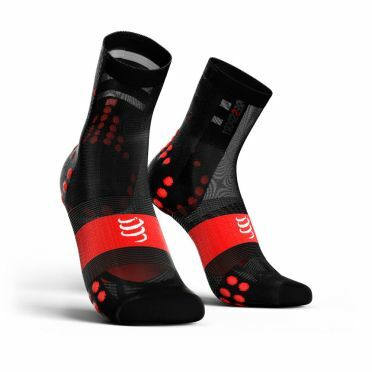 Years of research & development and cutting edge technology packed into a racing sock, they have quickly become the must have foot accessory for any serious endurance athlete. Worn every week-end around the globe by World champions, Pro athletes, age group athletes and week-end warriors, the Compressport ProRacing Socks V3.0 offer extreme comfort, improved blood circulation and biomechanical advantages. 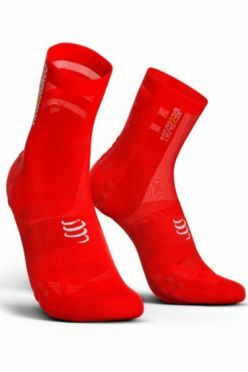 The Compressport V3.0 ultralight bike socks red are a must-have for cyclists: they offer additional high-ventilation weave around the ankle for increased lightness and breathability . These snug cycling socks are high-cut , fitted with additional 3D dots on the inner malleolus to help prevent shocks and ultralight for a weightless sensation. They feature: Ankle strap for additional support to reduce shock on the Achilles tendon and the back of the foot 360° arch support , providing perfect hold and comfort no matter how intense the effort or the terrain (extreme speed, descents, climbs, bends, tough conditions, etc.) Multifunctional 3D dots that provide slip-proof grip , shock absorption , ventilation , thermoregulation and acupressure. 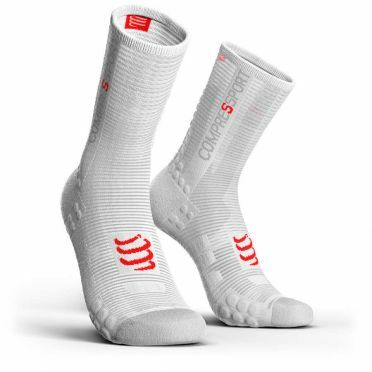 The Compressport V3.0 ultralight bike socks white are a must-have for cyclists: they offer additional high-ventilation weave around the ankle for increased lightness and breathability . These snug cycling socks are high-cut , fitted with additional 3D dots on the inner malleolus to help prevent shocks and ultralight for a weightless sensation. Ankle strap for additional support to reduce shock on the Achilles tendon and the back of the foot 360° arch support , providing perfect hold and comfort no matter how intense the effort or the terrain (extreme speed, descents, climbs, bends, tough conditions, etc.) Multifunctional 3D dots that provide slip-proof grip ,shock absorption, ventilation, thermoregulation and acupressure. 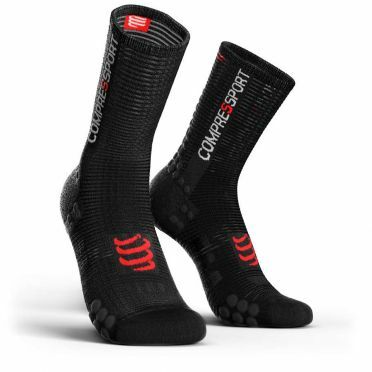 The Compressport V3.0 ultralight bike socks black are a must-have for cyclists: they offer additional high-ventilation weave around the ankle for increased lightness and breathability . These snug cycling socks are high-cut , fitted with additional 3D dots on the inner malleolus to help prevent shocks and ultralight for a weightless sensation. Ankle strap for additional support to reduce shock on the Achilles tendon and the back of the foot 360° arch support, providing perfect hold and comfort no matter how intense the effort or the terrain (extreme speed, descents, climbs, bends, tough conditions, etc.) Multifunctional 3D dots that provide slip-proof grip, shock absorption, ventilation, thermoregulation and acupressure. 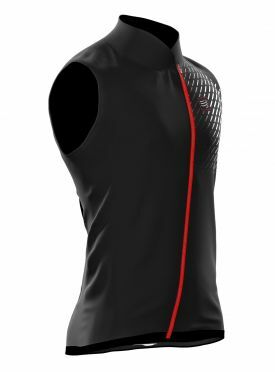 The Compressport hurricane v2 running vest black unisex is designed from an innovative ﬁbre, fully stretchable, that protects you from the wind. Its 3D design allows you to wear it over your backpack without breaking your stride or slowing down. 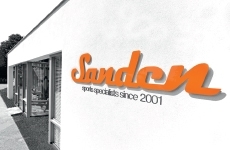 Its reﬂective logo printed on the back ensures that you can easily be located, day or night. Lightweight at 75-grams, it delays fatigue. Breathable, it keeps you comfortable always.